A memorable road trip for mountain fans, culture vultures and motor sport aficionados. 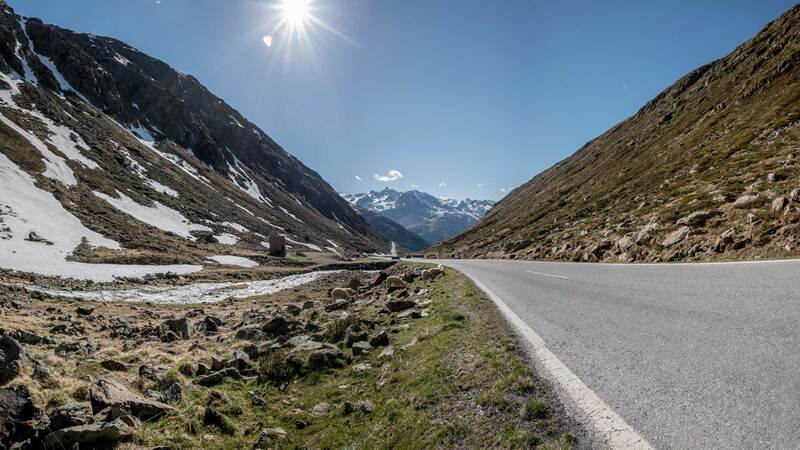 Heading from Ötztal towards the Pass Road across Timmelsjoch at 2509 m to Italy’s Passeiertal promises a truly special experience. Not only due to the switch-backing mountain road leading to one of the Alps’ most splendid pass routes. 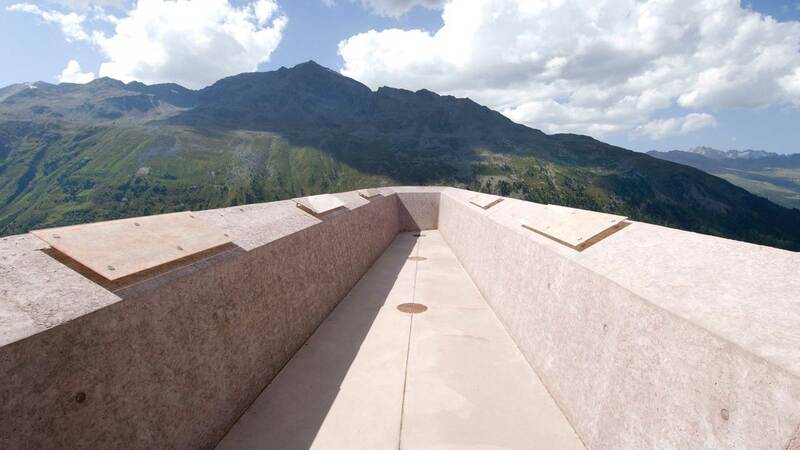 Over the last years, the panoramic road has become a true cross-border experience for all senses by installing five eye-catching architectural highlights amid the high Alpine scenery. They are either vantage points or museums displaying many interesting facts about the region’s history. To cut a long story short: The truly unique Timmelsjoch Drive of a very special kind makes a perfect one-day excursion for all ages. Take your time and soak up the picture-book attractions. 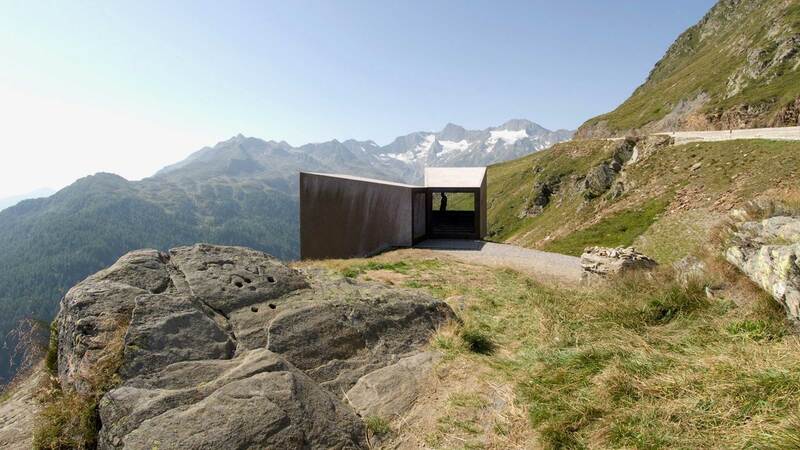 The first highlight can be found in the Austrian Tirol, close to the road toll station: It is a 10-meter long footpath towering high above the valley floor with picture-book panoramic views of the Ötztal Nature Park and its countless peaks higher than three thousand meters. A perfect photo point! 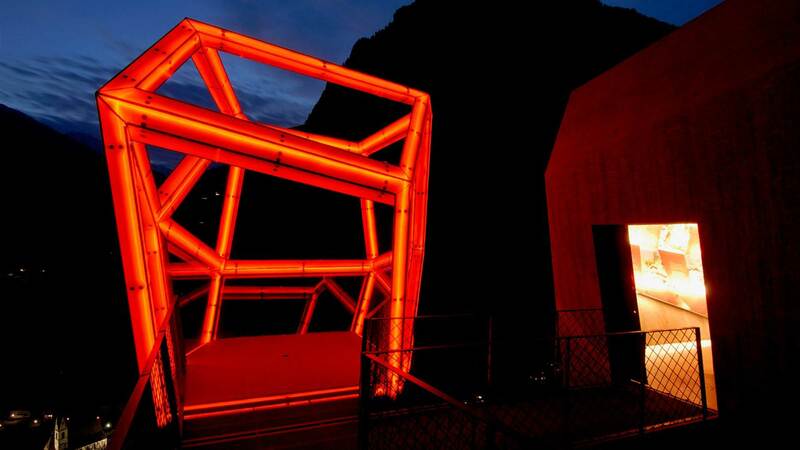 Inside the sculpture you can explore an exhibition on Alpine landscapes, Obergurgl’s stone pine forest, glaciers and the settlement history of this Alpine region. For example, did you know that stratosphere expert Auguste Piccard had to make an emergency landing in his hot-air balloon on the glacier fields of Gurgler Ferner? An information panel provides more details on this exciting historical moment. Continuing along the valley of Timmelstal you reach the “Smuggler”: A walk-in cube right after the bridge over Timmelsbach where the road crosses the ancient footpath linking Passeiertal and Ötztal. An exhibition displays the deeply rooted trade relations and the long tradition of smuggling. Texts and pictures are printed on black glass, reminding of the “black market”. The exhibition also comprises old contraband goods and an original wooden back carrier. 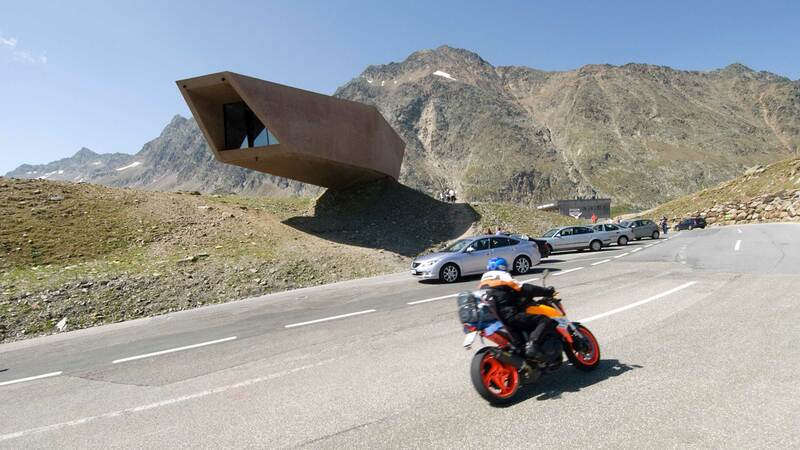 The Pass Museum in the Italian Tyrol looks like a huge boulder amidst the Alpine landscape. A cross-border experience typical for the scenic Timmelsjoch Drive. An “ice cave” in its interior pays tribute to the fantastic project initiated by the pioneers who built the High Alpine Pass Road. Here you get to know more about the construction of this superb panoramic road. This station located in South Tyrol is made of two “Telescopes” offering vistas of the Texel Nature Park, unspoilt Seebertal and Passeiertal. 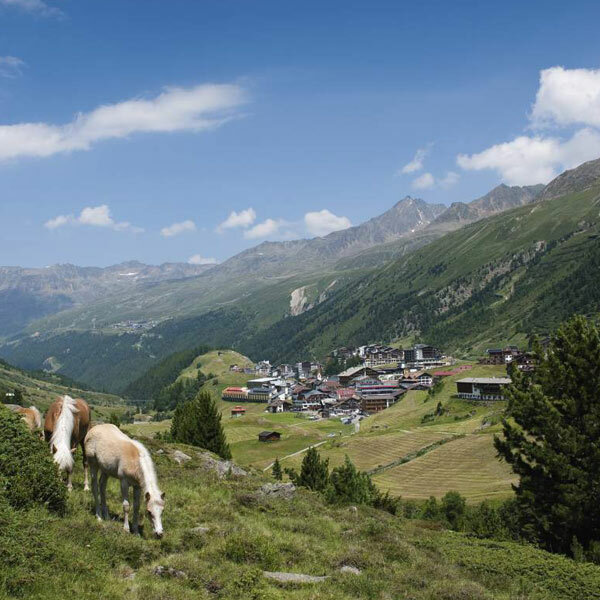 The main themes revolve around the geology of the upper Passeiertal and its types of rock, the local mountain goat and many more local rarities. Driving downhill through the valley at the height of a rock face near Stuls, there are gorgeous views of Moos and the rear Passeiertal. Two garnet-shaped viewing platforms, reminding of the valley’s fantastic geological rock formations, rank among the route’s undisputed highlights. A small exhibition displays South Tyrol’s highest waterfalls, Europe’s number one village when it comes to the number of children and explains the meaning of “hay shooting”. 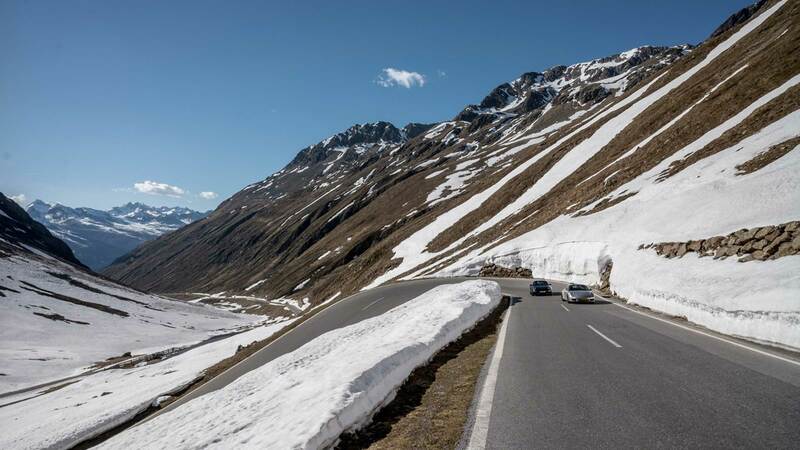 All stations of the magnificent Timmelsjoch Drive are free of charge. More detailed information about opening times of the toll road and rates available at www.timmelsjoch.com.